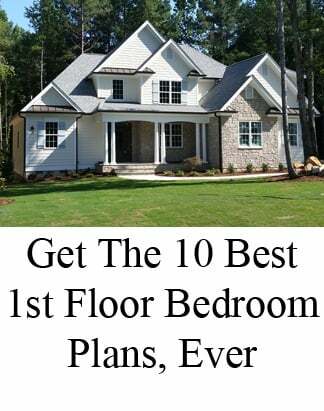 When creating your new home wish list, one of the biggest architectural trade-offs can be choosing between two story rooms and additional square footage upstairs. 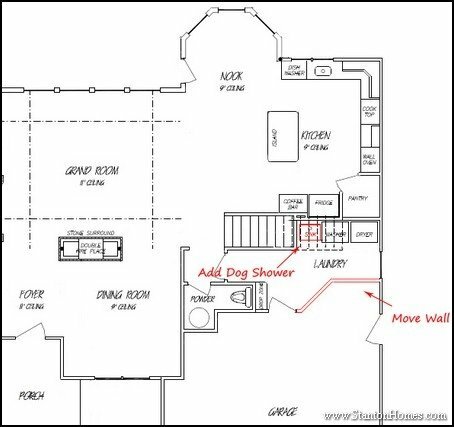 Downstairs rooms that stretch to the second story ceiling - including living room and great rooms - can eat up second floor space. 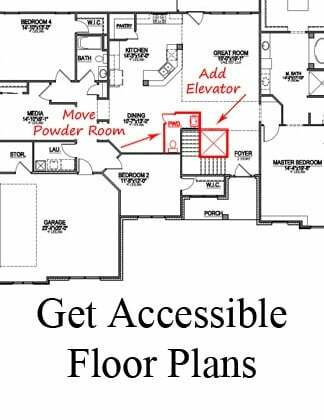 Limiting your two story space to the foyer can give you the best of both worlds. 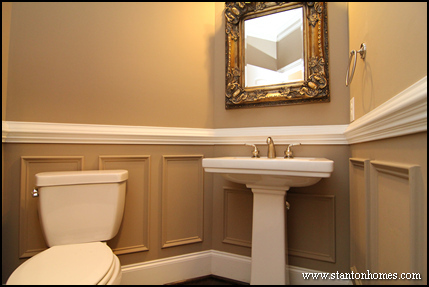 Foyers are smaller spaces that can go big with a much lower cost impact. 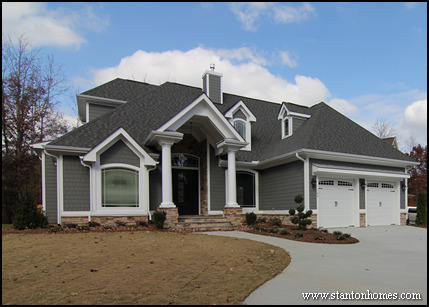 The photos below show examples of Raleigh new home plans that include two story foyers that lead to "standard" height rooms (8' or 9' tall ceilings). 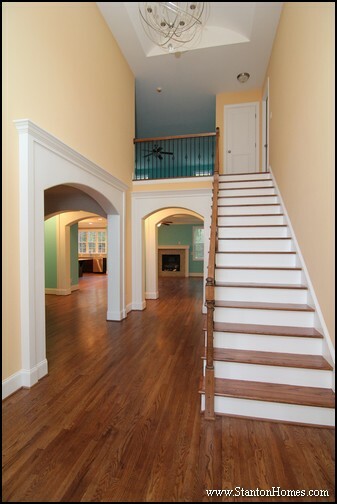 These foyers are great examples of how to build a home with a two story entrance without giving up square footage upstairs. 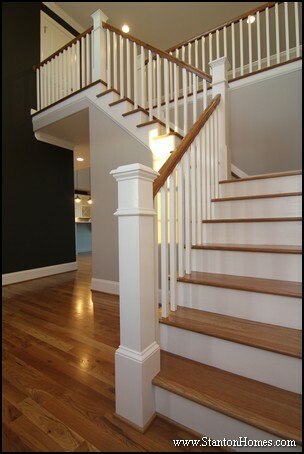 This staircase is located at the center of the first floor, just inside the foyer. 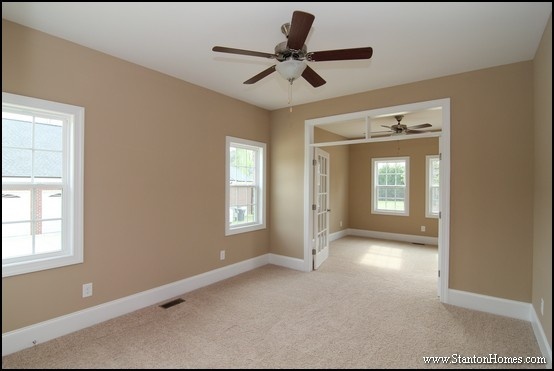 To the left, an arched opening leads to the formal dining room. 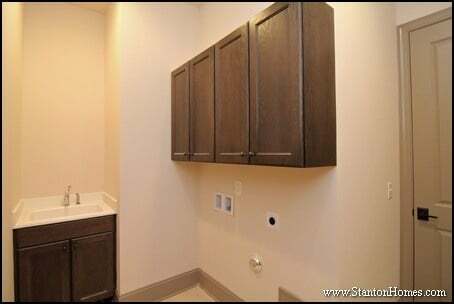 The door to the right leads to the garage. 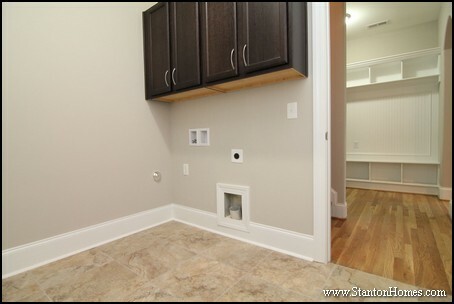 Straight ahead, the hallway leads to the open concept kitchen and living room. 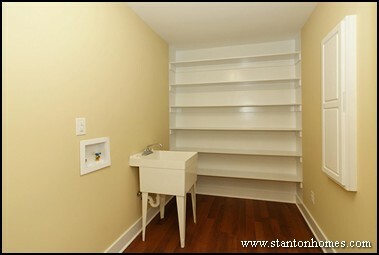 In this version of The Shelby, Stanton Homes added a bonus room on the second floor, above the living room. 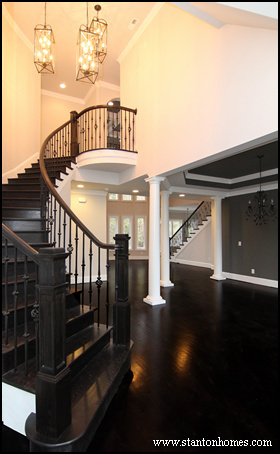 The foyer is the only two story room on the first floor, making the entrance more dramatic. 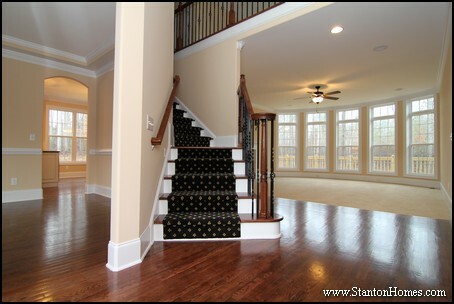 The long foyer layout avoids the need for a landing half way up the staircase. 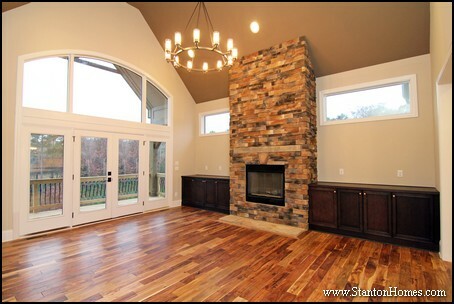 Tall ceiling - and windows in every room - keep this entry feeling open and bright. 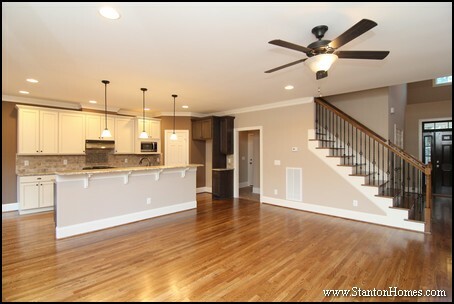 The foyer is the only two story room in this version of The Summerlyn. 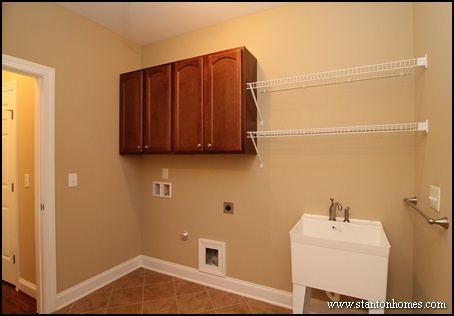 A second story bonus room - with overlook to the foyer - adds square footage to the home plan. 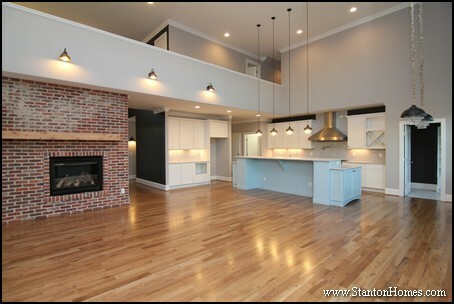 This version of The Avonstone Manor balances ceiling heights by spreading out two story rooms. 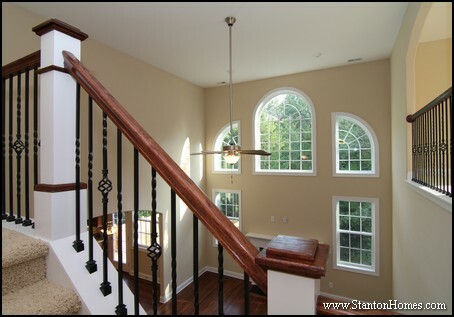 The large foyer opens to a curved staircase and custom overlook. 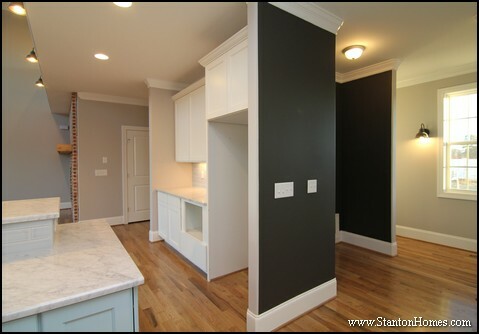 The dining room add productive contrast with a lower ceiling. 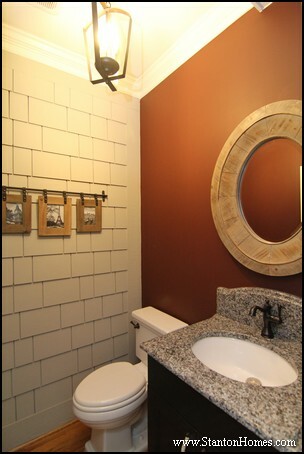 Ceiling height variations emphasize high and low spaces to make a more dramatic impact. 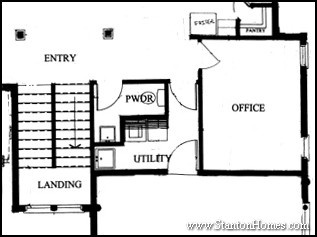 From the living room, this two story foyer feels small and utilitarian. Take another look, from the front door. 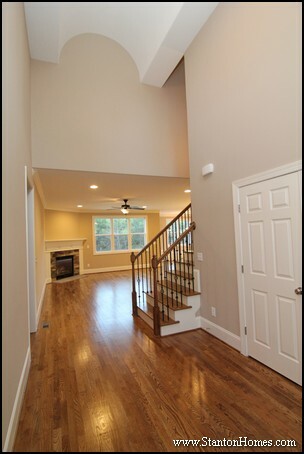 A custom barrel vault ceiling tops the two story foyer to make the entry feel bigger - without using square footage. 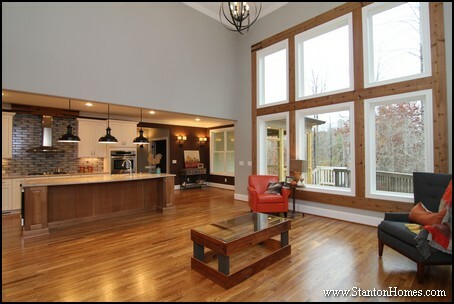 The two story design - when paired with a one story living room - makes a more dynamic impact. In this version of The Penelope, the foyer is the only two story room. 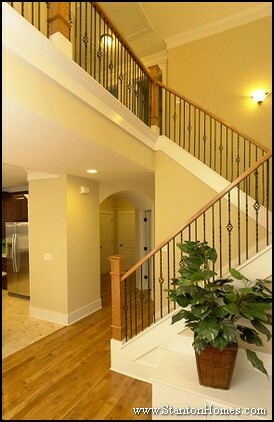 Home plans that wrap the staircase into a two story foyer also create space for open railing and an overlook. 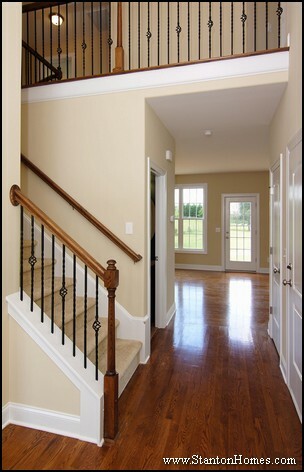 Custom home design tip: You can use architectural details to create the feel of a taller foyer, without adding the full height of a second story. 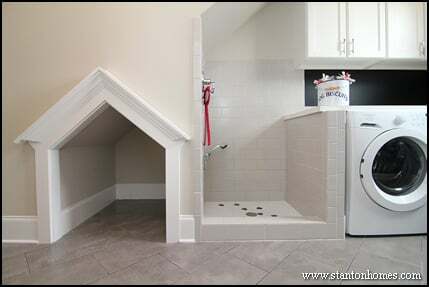 What is a barrel vault foyer? 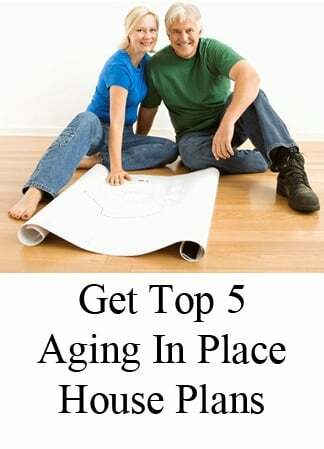 Get more ceiling design ideas for your next home and find photos of two story overlooks here. 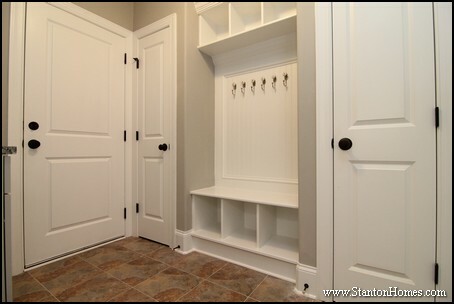 Foyers and entry ways are typically smaller spaces. 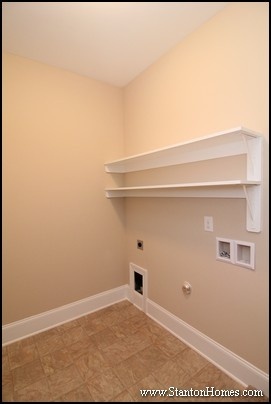 Adding height can create an open concept feel without eating into second floor square footage. 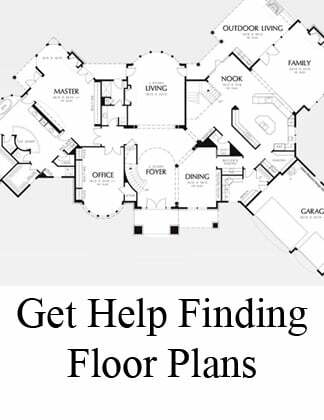 Tell us your home plan layout priorities, and we'll help you get started on building your North Carolina custom home. Statement-making windows come in all shapes, sizes, and configurations. 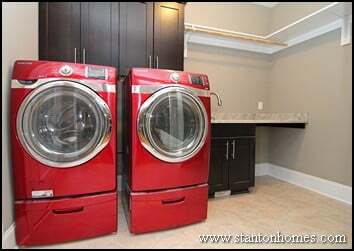 Take a look at these North Carolina New Home photos to see window designs that craft sophisticated great rooms, elegant eating areas, and cozy master bedrooms. 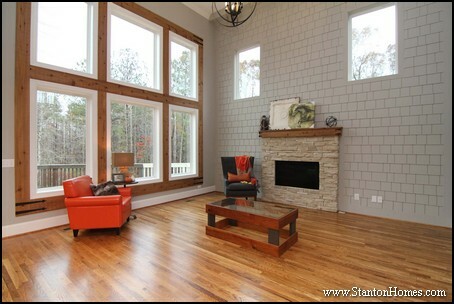 These oversized great room windows - wrapped in "raw" cedar - accentuate mountain-home views in a modern home design. 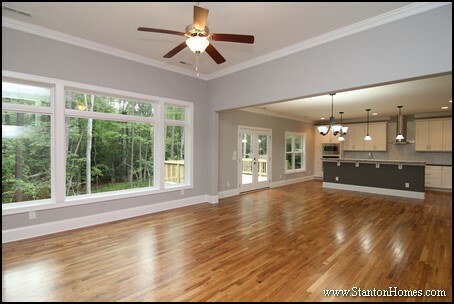 Grey wall paint contrasts against the natural wood tones in the window frames and hardwood flooring stain. A bay style breakfast room is the perfect place to catch morning rays with tons windows - topped with transom accents - on all sides. 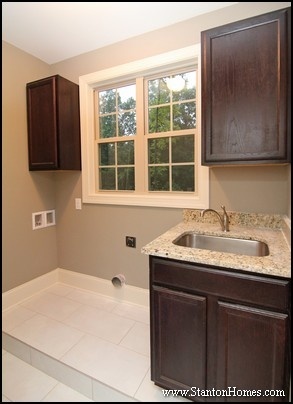 More new home windows are going gridless - especially in modern design motifs. 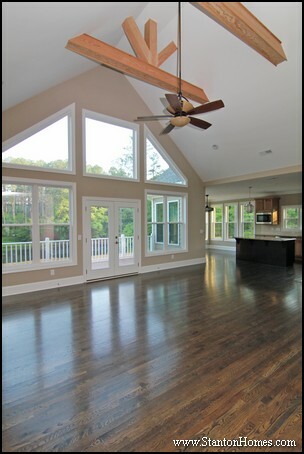 Triangular angled windows highlight the height of the vaulted ceiling in this two story great room. A contemporary ball light with curved lines adds contrasting elements to this large space. 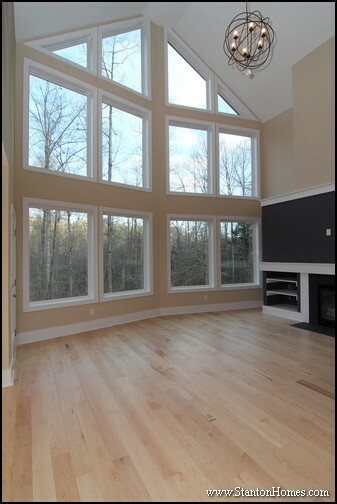 A series of rectangular picture windows opens up this great room - with a full wall of natural light. 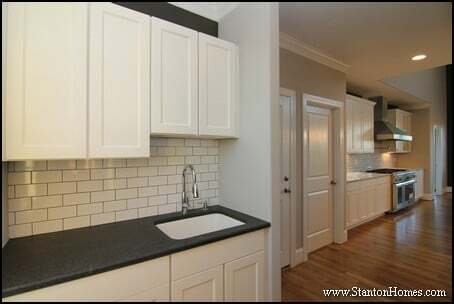 Transom or accent windows will make a room feel taller and more open, a great design technique used in one story rooms. 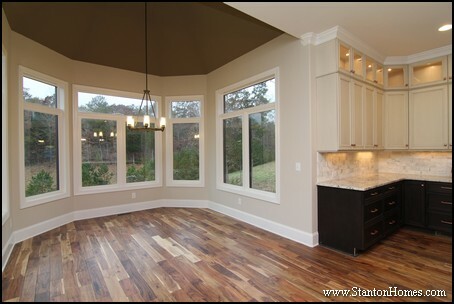 Two stories of windows wrap around this curved great room. 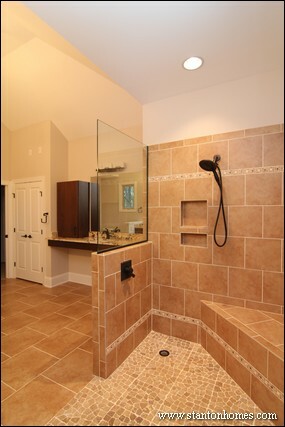 Grids punctuate each window, for a more traditional feel. 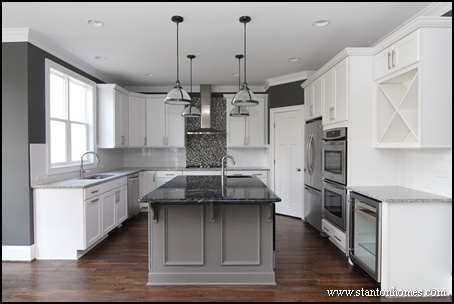 Each design element, from the wainscoting fireplace mantel to the built-in bookcase, adds altitude. 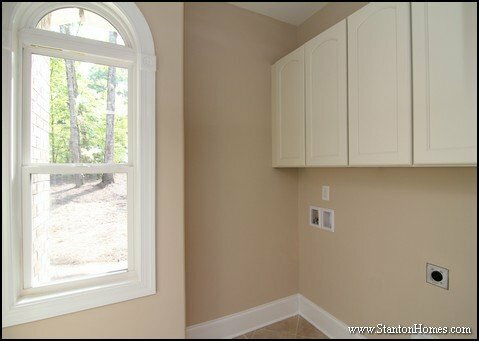 Curved or arched window designs form unique architectural accents that will stand out in any room. 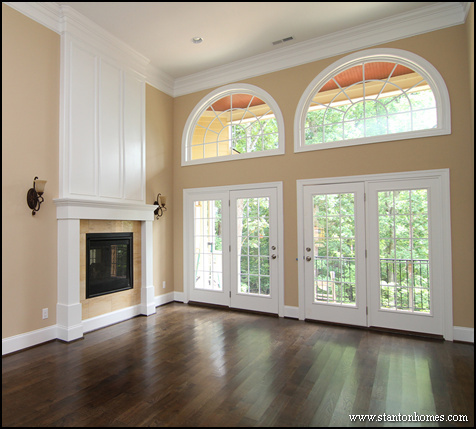 Half Round or Elliptical Arch windows can offer a more delicate feel - and are great for more formal rooms such as formal dining rooms, grand rooms, and two story foyers. The window pattern in this version of The Cove - made of half (or "eyebrow") and full arches - forms a frame around the fireplace. 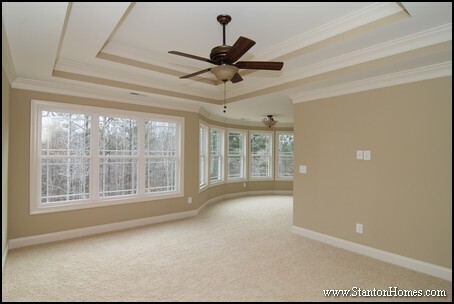 Prairie grid windows wrap this master bedroom in natural light, with a curved design along the sitting room. 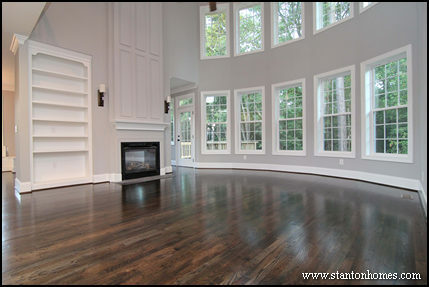 Cozy up to a good book (or movie), in this large master suite filled with windows.